The past few months of 2018 have been quite packed and exciting for us at Diligence Wound Care Global. We wanted to share some of what we’ve been doing and learning during Q3 and so far in Q4 this year (while keeping in mind that most details of our business activities are highly confidential). Most importantly, we’ll highlight relevant insights along the way which will help empower you to be confident in your wound care business decisions. A new-to-wound-care, Asian client who once attended a conference with me joked, “It’s like a night market! So many options!” This is precisely why it’s not good enough to have an effective, innovative product without the right strategy and positioning from the earliest stages of development through execution. Following an educational yet fun conference during The American Podiatric Medical Association (APMA)‘s national meeting in Washington, DC, we were tapped for multiple wound care due diligence cycles throughout the mid and late summer. In between, we found time to contribute to the September edition of Today’s Wound Clinic. We also conducted strategic advisory sessions with a relatively new client in the Midwestern US to assess and consult on their commercial strategy and next moves. 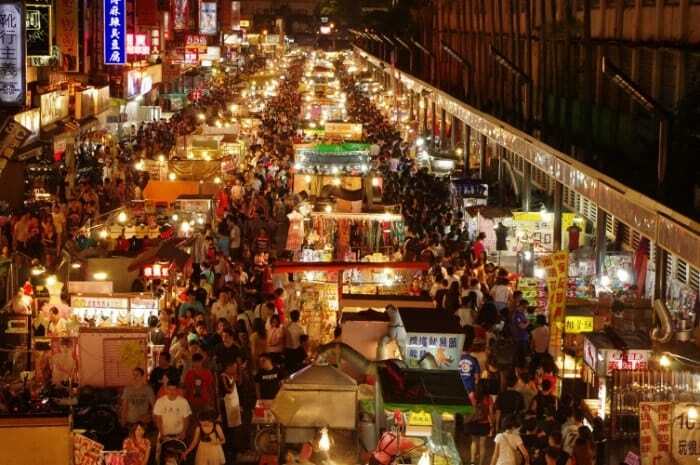 With the availability of so many different wound care products for treating etiologies and symptoms, a new-to-wound-care, Asian client who once attended a conference with me joked, “It’s like a night market! So many options!” He may have been new to wound care, but his assessment was spot on. Even for experienced wound care clinicians, the options can seem overwhelming. But with the right strategy, positioning, and execution, it’s possible for a strong product to rise above all the noise. Taking that approach, we’re excited to be working with this new American innovation to get it in the hands of as many clinicians–and in the wounds of as many patients–who might benefit from it. When we conduct portfolio assessments, advisory sessions, and workshops for our corporate strategy and business development clients, we stress that the focus should be on solving stakeholders’ clinical, operational, and financial needs, as opposed to purely filling gaps based on traditional product categories. 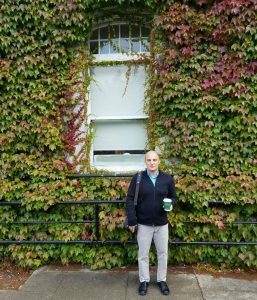 We met with one of our “stealth mode” startup clients at a gorgeous, top-ranked university in Europe. They are developing a new tool to address an old challenge, one that has not received much attention from innovators in quite some time. It was with this principle in mind that we traveled to Europe to meet with a very early stage startup client in the university incubator/fellowship environment. One of the things that is most exciting about the need their new solution is addressing is that it helps to solve one of the areas of wound care delivery that has not received much attention or innovation for many years. As we work with them to hone in their development and commercialization life cycles around the true market needs, we can tell that by the time it’s ready for launch, it will be very much on point. We’re looking forward to sharing more details in the coming months. We began this leg of the trip by supporting a well-respected, MNC industry client in building and developing their wound care competencies across multiple markets. 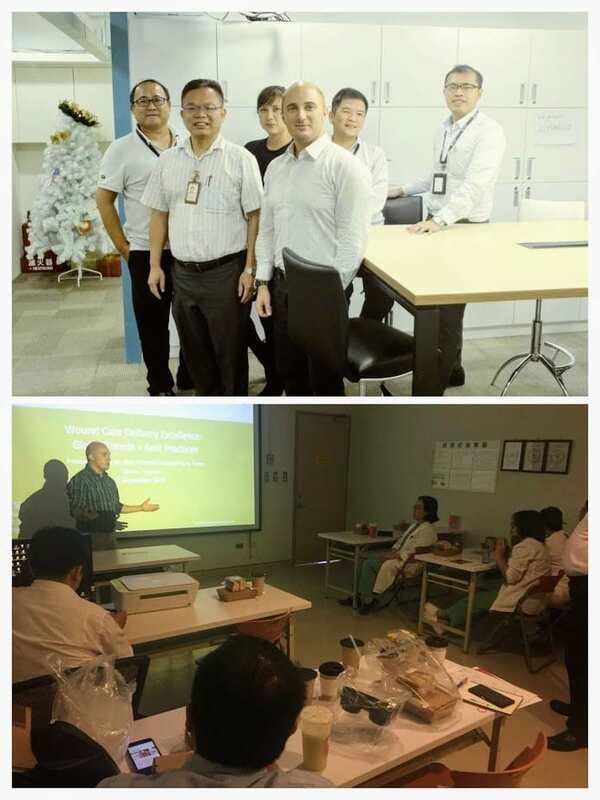 This included the creation of best-in-class training assets, face-to-face facilitation of “zero to hero” wound care ecosystem training, and interactive role playing and similar exercises. We delivered this for both the sales and marketing teams (field and corporate), as well as the key support roles involved with each market such as medical affairs, training, and regional leadership. Yet our planning and groundwork activities do not end there. At the same time as we’re delivering value for internal stakeholders, this particular client has the foresight to also drive value for its external stakeholders. In other words, beyond simply selling the “features and benefits” of its products (which are great ones), our role is to support our client in “raising the bar” on wound care services management and delivery throughout the region. Important everywhere, but especially in this part of the world, the goal of creating long-term relationships and partnerships has been at the core of their success. To further that goal, we met with C-Suite executives, physicians/surgeons, and nursing staff in every market we visited. The internal stakeholders we trained each morning and afternoon duly benefited from joining for the external stakeholder meetings in the evenings–via both a deeper appreciation of their customers’ ecosystem and pain points, as well as the stronger rapport that goes along with that. Although unrelated to the above engagement, this vision of furthering the clinical-operational-financial delivery of wound care was also articulated to us during a recent meeting with the CEO of a leading global product firm. In fact, from where we sit, most of the top-performing wound care executives are viewing the future of the industry through this trend (though the road maps they are each developing are unique). These and other concepts for wound care global success will be presented and discussed in greater detail during our session at SAWC Fall 2018 (see below for details and a registration discount code). When partnering with our global wound care clients to plan and execute their strategy, it’s of value to empower both their internal (top photo) and external (bottom photo) stakeholders. Internal stakeholders need to be confident in their product as well as how to navigate the unique wound care ecosystem. At the same time, helping external stakeholders deliver wound care at a higher level fosters increased volumes/product usage and builds strong long term relationships. This is a recurring theme we are increasingly hearing from senior leadership at several leading multinational wound care firms. 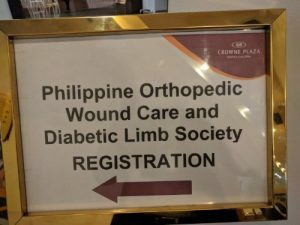 One particular activity during this recent trip was especially memorable and instructive: Participating as faculty for The Philippine Orthopedic Wound Care and Diabetic Limb Society, which is the newest of 12 sub-specialty groups under The Philippine Orthopaedic Association (other sub-groups include sports medicine, spine, trauma, hand, shoulder, and pediatric ortho). What I experienced there left me with a sense of optimism about the future of wound care in this part of the world: From the effectively delivered presentations from interdisciplinary perspectives, to the motivation of attendees to setup their own wound care centers, the prospects are indeed bright. 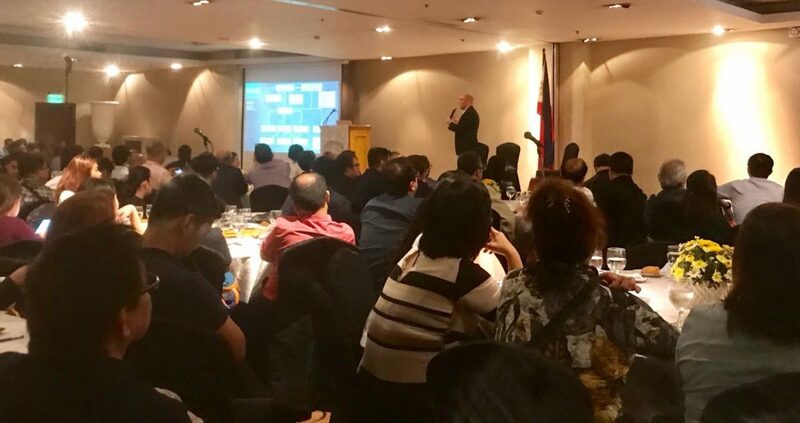 Diligence Wound Care Global Managing Director Rafael Mazuz contributed to the Philippine Orthopedic Wound Care and Diabetic Limb Society 2018 Conference with a well-received presentation entitled, Bringing Clinical, Operational, and Financial Excellence to Your Wound Care Practice: Actionable Approaches for Healthcare Providers. …and full circle back to the United States (around the globe). By mid-September, some crucial M&A scouting, exciting new product launch planning, preparation for a key deliverable, a board meeting, an investor/analyst discussion, and other vital activities to support our clients necessitated our continuation eastward–back to the US. A few days after landing, the Urgo North America merger was announced publicly. It was a significant development that impacts wound care executives, investors, and specialists. So despite everything else that was going on, we published insights on that important deal. 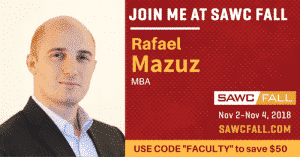 If you have not yet registered for SAWC Fall, you can receive a $50 discount by using code FACULTY during registration. Balancing the value of the many great wound care conferences, exhibitions, and events, as well as the need to empower wound care executives, investors, and specialists in their business decisions is not simple. Regrettably, we cannot speak at or attend every event which extends an invitation. There were some great ones in recent weeks that we would have attended (and have in the past) if we could have been in two places at once! That being said, another conference that we plan on attending during the remainder of this year in addition to SAWC Fall (2-4 Nov) is Innovations in Wound Healing (6-9 Dec) in Key West, Florida. It tends to be a much smaller, intimate, and scientific/research-driven event compared to some of the larger, clinician/provider focused conferences. Because of the nature of our clients’ needs, we find attendance of both types valuable–as do many attendees who have experienced both formats. Feel free to reach out if you would like to meet at either of the above conferences, or to request an invitation link to the BAML-facilitated wound care investment professional call. Remember, if you have a pressing wound care business or investment decision but won’t be attending any of the upcoming industry events, you can always get in touch to discuss how we might help you to reach your goals.